Canadians may think of themselves as crafty northerners who largely support their economy with natural and rustic pursuits like agriculture, fishing, forestry, and hunting, but our Gross Domestic Product (GDP) reveals a different story. When combined, all of those industries listed above make less of a dent into the GDP than the money exchanged in real estate fees. 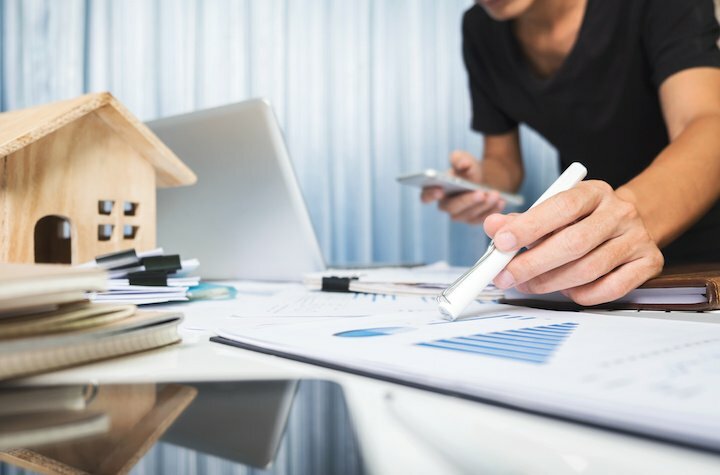 These fees comprise everything associated with the buying and selling of houses, such as real estate commissions, land transfer taxes, legal costs, and survey/inspection fees. Doyle's concern is largely based on events in the recent past. Prior to the 2007 housing market crash in the United States, real estate fees made up an inordinately large part of the United States' GDP as well—1.5 per cent, to be exact. That over-reliance stung later on when the economy could no longer support such a large volume of housing transactions. Now, real estate fees hover around just under 1 per cent of the United States' GDP. Canada's troubles are compounded the fact that the central bank recently increased interest rates, which could also disrupt the reliance on real estate fees that has been allowed to form during these low-interest years (prior to July 12, the Bank of Canada hadn't authorized a rate hike since 2010). "The drag on the economy that's going to flow from [higher rates], I think, will prove to be much more severe than it's been in the past," Doyle said. "The economy is just that much more reliant on housing and in particular on these ownership transfer costs. It's not something that, as an economy, you would look at as a position we want to be in.